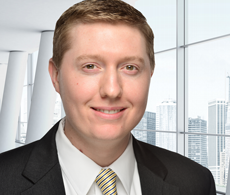 Brandt Herring is a Manager at Hoffman Clark LLC, an integrated certified public accounting and consulting firm specializing in business, intellectual property and financial advisory services. Hoffman Clark provides objective advice across a broad spectrum of issues from accounting and strategy to a comprehensive range of forensic evaluation services. Brandt’s expertise extends to business entities, intangible assets, economics and financial transactions. He works closely alongside the firm partners to quantify economic damages in a variety of engagements including patent infringement, trademark infringement, breach of contract, forensic investigations and valuation. Brandt’s valuation experience includes projects involving the valuation of businesses and intellectual property. Brandt also has experience in providing accounting and tax services, where he provides integrated solutions and consulting services for individuals, businesses, and business owners.